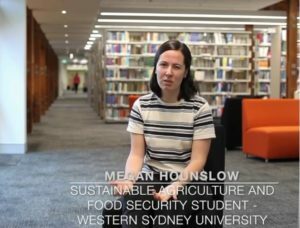 Western Sydney University students who attended this year’s Crawford Fund Annual Conference ‘Waste Not, Want Not: A Circular Economy to Food Security’, undertook a series of interviews of distinguished speakers and guests. The result is this video entitled ‘Interviews and Ideas’. 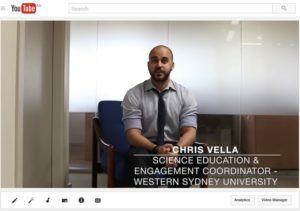 Chris Vella, Science Education and Engagement Coordinator at Western Sydney University, introduces the video and explains the importance of their close relationship with the Crawford Fund. “The Crawford Fund gives us the opportunity for our students to act as the media for the actual event,” Chris says. “It allows our students to get access directly to the professionals in the industry—those people that are really leading the way and show them where they can be in a few years”. 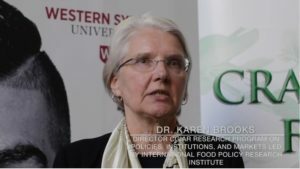 The students interviewed Dr Colin Chartres, Crawford Fund’s Director of Training and Master Classes; Professor Louise Fresco, President of the Executive Board of Wageningen University and Research Centre, and presenter of the 2016 Sir John Crawford Memorial Address; Dr Karen Brooks, Director CGIAR Research Program on Policies, Institutions and Markets led by IFPRI; and Brian Lipinski, World Resources Institute. Sustainable Agriculture and Food Security Students and staff from WSU are also interviewed, and discuss their ideas on food waste and loss issues. 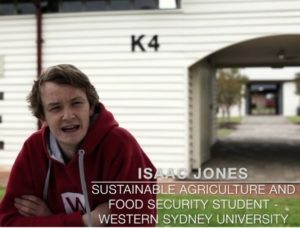 A very big thank you to the Western Sydney University team for once again developing a great conference video for us and for participating in the important discussions stimulated by the conference. You can access the video on our Crawford Fund YouTube site here. For those students interested in international agricultural research, and in gaining valuable research experience in developing countries, the Crawford Fund travel awards have now been launched for Western Australia. More information about awards from our other State Committees will be coming soon. And we will once again being offering our conference scholarships for young Australians to attend our 2017 conference—stay tuned!